Israel emanates holiness, from ancient walled Jerusalem and the Dead Sea to the apricot sands of the Negev Desert. From the heights of Mount Hermon to the orchards of the Mediterranean coast, Israel packs a remarkable variety of landscapes into its relatively small extent. 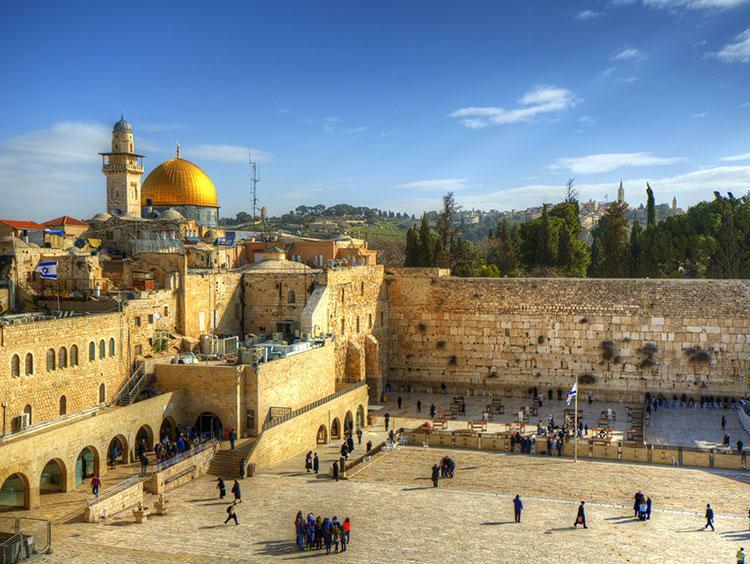 It includes one of the world’s most ancient cities, Jerusalem, a walled metropolis of some 800,000 that’s regarded as holy territory in Judaism, Islam, and Christianity. Its sacred landmarks include the Wailing Wall, the Temple Mount, the Church of the Holy Sepulchre, and the Dome of the Rock. Jerusalem’s Israel Museum is perhaps most renowned for housing (within the Shrine of the Book) the Dead Sea Scrolls. Tel Aviv, meanwhile, is one of the Middle East’s economic centers and also attracts tourists with its plentiful entertainment options and destinations such as the White City. Other must-see spots in Israel include the Dead Sea, the Sea of Galilee, and the Red Sea beach paradise of Eilat. Though not large in territory, Israel is immensely rich in cultural value and depending on where you travel - you're likely to see a nice mix of Israel's diverse personalities. 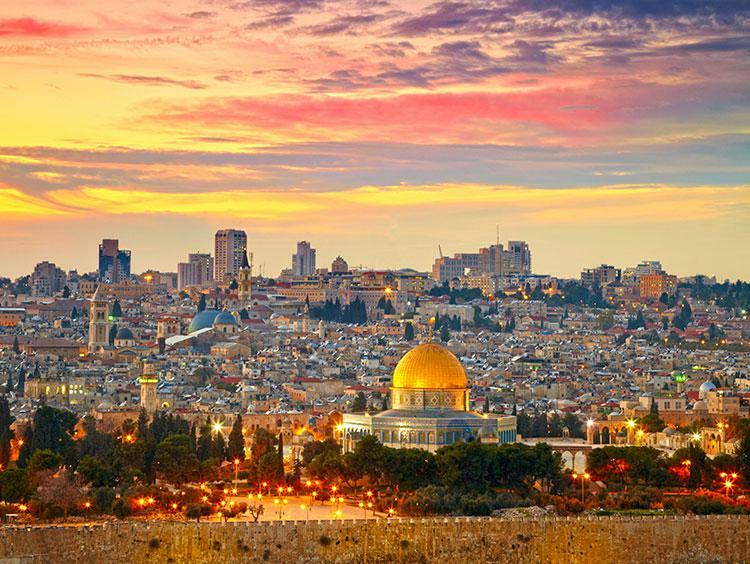 The country's largest city, Jerusalem is an ancient, spiritual place of immense religious and historical importance for followers of Judaism, Christianity and Islam. High-tech and trendy Tel Aviv is nothing if not modern; visitors traveling to this financial capital enjoy great nightlife, Mediterranean beaches, incredible architecture and an excellent culinary scene. All of this is a world away from the traditional farming villages in the Galilee region or the towns in the arid Negev Desert. And while this is the world's only Jewish-majority state, there are of course Arab and Christian communities that reside throughout Israel. This democratic nation has the highest standard of living in the entire Middle East. Culturally-speaking, Israel has been greatly impacted by the rich diversity of its own Jewish citizens, many of whom returned from Jewish communities around the world, bringing different traditions and customs with them. The county has a rich tradition of dance, literature, music and film - and in terms of excellent museums, Israel has the highest number of museums per capita in the world! Israel's culinary scene is quite the melting pot! In fact, it's so much so that it can be difficult to define. You'll find classic Middle Eastern dishes, Mediterranean flavors as well as a huge variety of gastronomic delights from all over the world from the diaspora. The result is a true fusion of sorts! On top of that, some cities in particular - such as Tel Aviv - have nothing short of an incredible restaurant culture. While in Tel Aviv you can find food from all around the world, incredible chefs and award-winning restaurants. And as with other Mediterranean cultures, people in Israel tend to eat a larger meal at lunchtime and a lighter dinner in the evening. Israel is located in the Middle East, on the eastern edge of the Mediterranean Sea. It is bordered by Lebanon, Syria, Jordan, the West Bank, Egypt and the Gaza strip. Despite being small in size, Israel contains a terrific variety of landscapes including fertile valleys, desert, mountains, coastal plains, central highlands and Mediterranean shores. Visitors spending just one week here can easily encounter olive groves, fertile farmland, hot springs, fruit orchards, coral reefs, gorgeous beaches, spectacular lakes and makhteshim (erosion cirques that are unique to Israel). And although there is virtually no rainfall in Israel from May to September, it still has the largest number of plant species of all countries located in Mediterranean basin. These diverse environments lend itself to a multitude of activities. Beach and diving enthusiasts have the Mediterranean coastline, the Gulf of Aqaba, the Sea of Galilee, the Red Sea and the Dead Sea. Outdoor fans have 67 national parks and 190 nature reserves to choose from as well as excellent hiking paths. In fact, one trail in particular - the Israel National Trail - crosses the entire country north to south, spanning almost 600 miles. There is also a 40-mile pilgrimage hiking trail called the Jesus Trail that begins in Nazareth and continues to important sites in Christ's life in the Galilee region. Golan Heights has fantastic ski resorts, and visitors seeking wellness have access to hot springs like Hamat Gader or those in Tiberias. (The Dead Sea is also famed for its medicinal qualities). 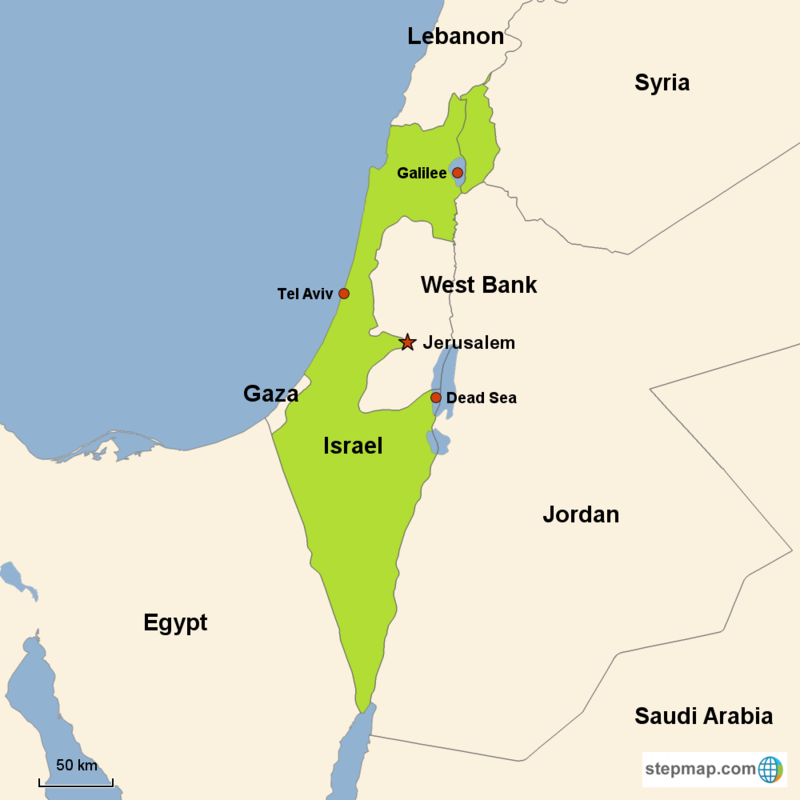 The country is divided into 6 districts, and then since 1967 Israel has also controlled the West Bank, East Jerusalem, the Gaza strip and the Golan Heights. 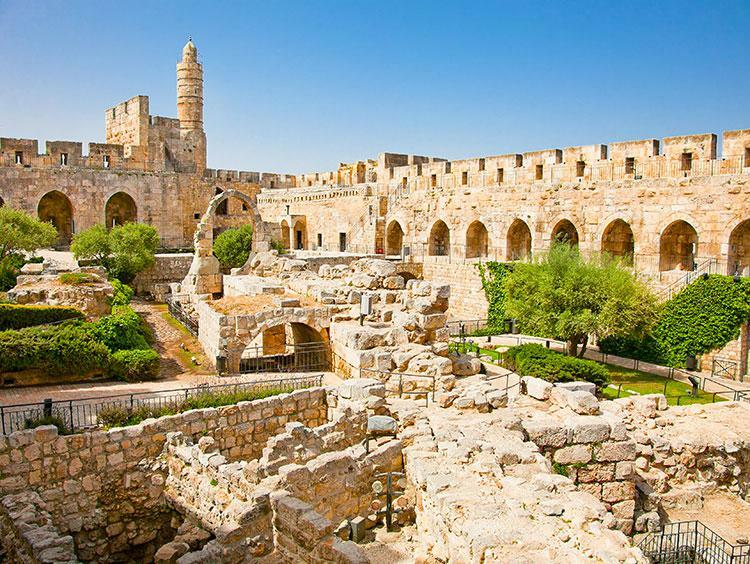 Israel is astoundingly rife with fascinating historical (particularly ancient & Biblical) sites. The country is home to truly out-of-this-world archeological sites like the Old City of Acre whose Crusader past has remarkably remained quite preserved. Another UNESCO site and a highlight of any trip to Israel is a visit to the magnificent Masada fortress, which dramatically overlooks the Dead Sea; it was commissioned by Herod the Great over 2000 years ago. The ancient incense and spice route that passes through the four towns of Mamshit, Haluza, Shivta and Avdat in the Negev Desert is also of tremendous historical value â€“ as are the three UNESCO Biblical sites of Tel Megiddo (Armageddon), Tel Be'er Sheva and Tel Hazor. The nation of Israel is home to incredible Roman ruins like those in Caesarea. This ancient land is where King David and Jesus Christ were born. It is where the Dead Sea Scrolls were discovered in the caves at Qumran. This country contains the oldest, inhabited city in the world: Jericho. And we cannot forget that its largest city, Jerusalem, (also one of the oldest cities on the planet) houses some of the most important sites in the world of Biblical archeology: the Temple Mount (which includes the Western Wall), the Church of the Holy Sepulchre, which was constructed on Golgotha (Calvary), the site of Jesus' crucifixion and resurrection. Jerusalem's Old City also comprises the Muslim holy sites of the Dome of the Rock and al-Aqsa Mosque. Israel's historical heritage is connected to some of history's most exciting people and events including King David, King Solomon, the Babylonian captivity, Alexander the Great, Pompey, Herod the Great, the Emperor Constantine I, Mohammed, the Crusades, Saladin and Suleiman the Magnificent.